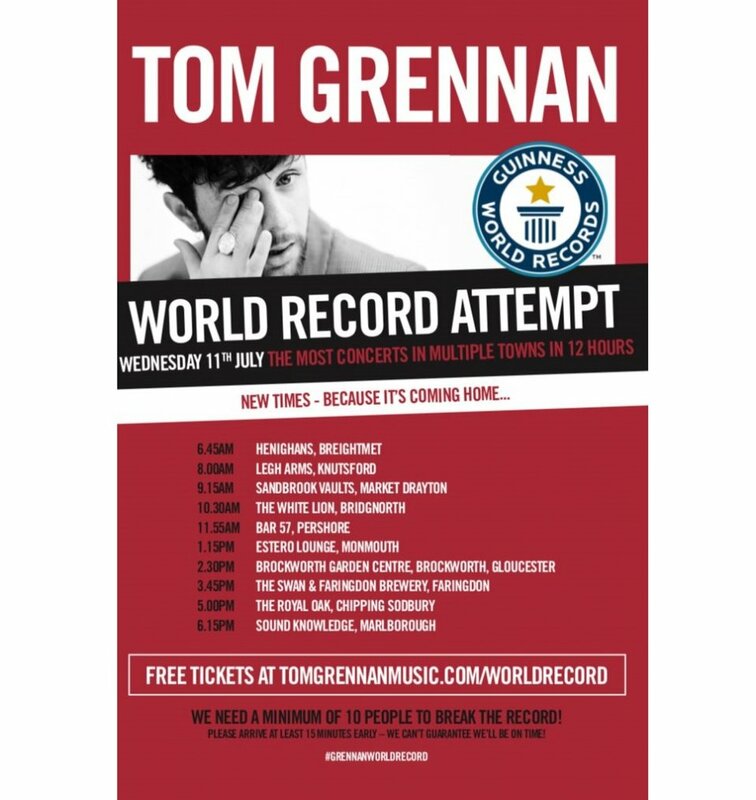 Indie rock newcomer Tom Grennan will now appear in the Guinness Book of World Records as yesterday he smashed the challenge of performing the most gigs in multiple towns in just 12 hours. The Bedford singer performed 10 gigs over the day, starting off in Breightmet at 6:46am then travelling to Knutsford, Market Drayton, Bridgnorth, Pershore, Monmouth, Gloucester, Faringdon, Chipping Sodbury and coming to a close in Marlborough at 6:30pm, playing 15-minute-long sets. The rules of the challenge were that he had to perform five songs on a stage in towns over 30 miles apart, with populations of 5,000-15,000 people, and in front of at least ten spectators.